A brand new app has just been released in order to help you navigate the Champlain Canal in upstate New York. The app can be download from BlackBerry World, Google Play, and the Amazon Appstore. With apps having already been released for the Erie Canal, Cayuga-Seneca Canal, and Oswego Canal there are now apps available for navigating the whole New York State canal system. 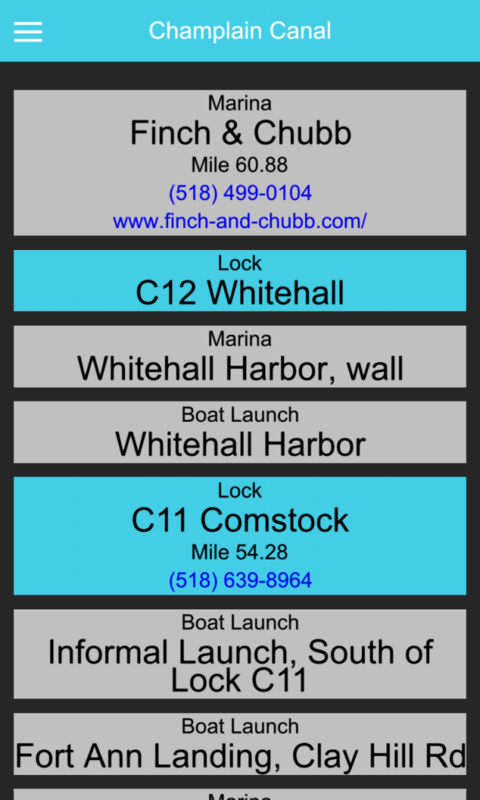 These apps give you the ability to see the locations of all locks and boat launches along the canals. Additionally the apps also contain a map view to give a visual representation to where everything is.